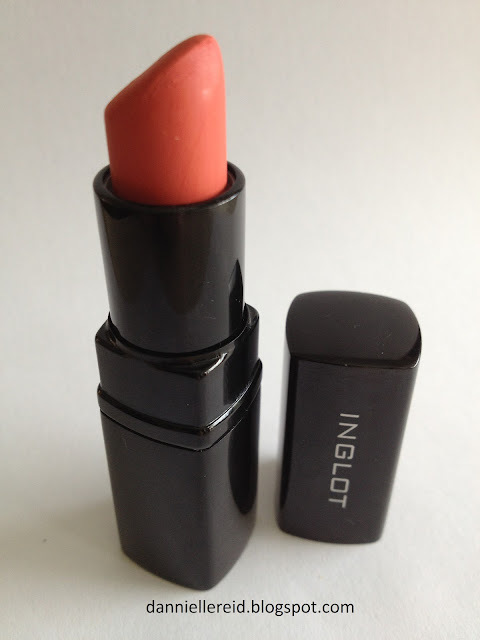 Today’s review is on Inglot’s matte lipstick in 401. 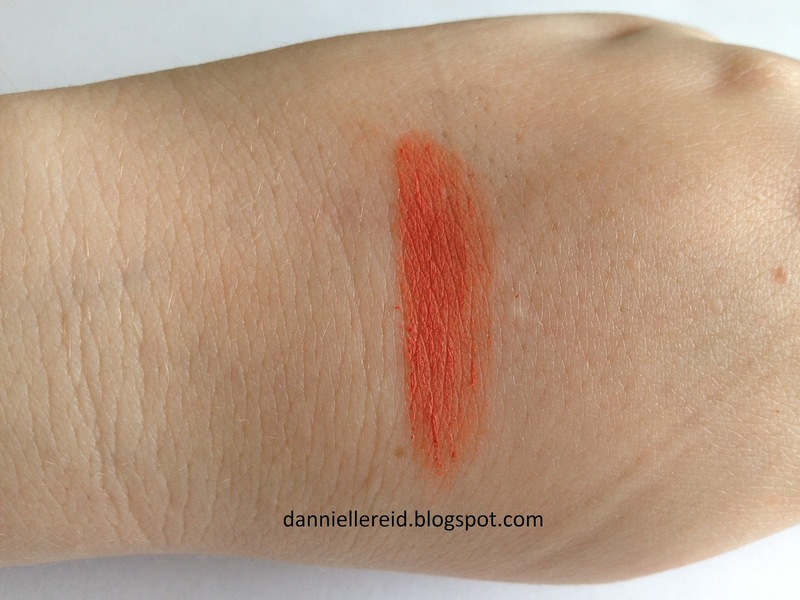 It’s a bright orange, perfect for this spring! I’m a huge fan of Inglot lipsticks and they are among my favourites, but unfortunately their matte lipsticks are something I will not be purchasing from them any time soon, which is a shame. I’m not impressed with this lipstick at all. I used it once since I bought it and will not be purchasing another matte lipstick from Inglot. When it came in the mail I was so excited to get it. I opened it and went to swatch it on my hand, and it was DRY! As you can see by the swatch above that it’s clumpy and doesn’t apply smoothly. I found it so hard to apply to my hand it was that dry. I can’t even apply this with a brush. The only way I can apply this to my lips is if I rub my finger on it continuously to warm it up, but even that takes a long time!